Ever thought about building or expanding business in China? If so, Chinese banquet etiquettes are things that cannot be missed, as lots of business deals are clinched at the banquet table in China. vegetables and other leng pan look particurly appetising. 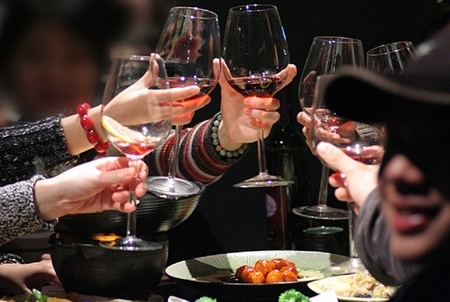 However, what should be a perfect start to a sumptuous meal is spoilt by the insistence of the host that we overwhelm our palates with numerous toasts with moutai or fizzy beer. lovable:As about the table drinking thing, I think you have every right to say that baijiu is not a good match of any of the succulent dishes on the table.But pls don't forget also that it is not supposed to be one either. It is like a present, from a very warm-hearted hostess who is too shy to hug you or say she likes you, AND you don't even have to like it. As a guest, you may be asked to sit prominently at the table in the so-called honor seat. Usually, this seat is facing the door of the dining room and it's likely to be at the right side of the host seat, a sign of courtesy and respect. How to fill the glass? When your drinking companion's glasses are empty, it is polite to fill their glasses, starting with elders and superior persons and always pouring for yourself at last. When someone else pours for you, hold your glass up with two hands, one at the bottom of the glass. When to receive a toast? The drinking officially begins after the host offers a short toast to the group after his welcome speech. All the diners should stand up with cup in hand, and say 'ganbei' which means "bottoms up."